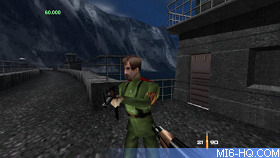 Although it was never publicly released, quite a lot is now known about the Xbox Live Arcade (XBLA) remake of the original 'GoldenEye: 007' game that was released on the Nintendo 64 back in 1997. 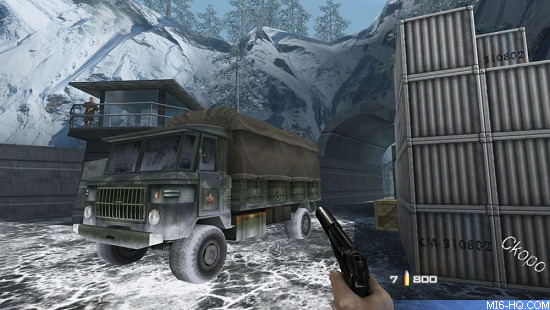 Developed under the codename 'Project Bean,' the title was developed by Rare (now under Microsoft ownership) with permission from the current 007 rights holders Activision and the original game's publisher Nintendo. However, Nintendo of Japan are said to have pulled their permission late and the game was cancelled just months before planned completion. According to the leaker, Nintendo's Satoru Iwata's final word was "Goldeneye is a Nintendo product and should only be on a Nintendo platform". The team of 8 who had been working on it at Rare for a year were stopped from completing the game. Some commentated that Nintendo had no legal way of blocking the release, but it was Activision who were gunshy of upsetting Nintendo and they pulled the plug on permissions. Either way, a release was not going to happen without all three parties agreeing. An offer was made to also launch the title as a download for the Wii's Virtual Console, but that did not satisfy Nintendo. A three-minute video of some gameplay footage appeared online in January 2008 confirming the leaker's story. It later emerged that a Rare employee, disgruntled by Nintendo's actions, broke his NDA and took a build of the game to leak information, screenshots, and gameplay video. Above: XBLA high-definition textures (left) and the original N64 textures (right). Trade press covered the tale in February 2008 and sparked some heat again Nintendo for being a 'spoiler'. 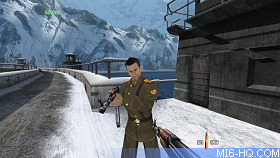 A Microsoft representative said: "We would love to release GoldenEye on Xbox Live Arcade. There is no truth to the rumour of plans to release GoldenEye on Xbox Live Arcade. While we share the gaming community’s enthusiasm over the possibility, we do not have the necessary rights to release the game on Xbox Live Arcade.The rights to the title are shared between Microsoft and Nintendo. You will have to contact Nintendo for comment." Fast forward a year and Rare re-released 'Perfect Dark', their spiritual successor to 'GoldenEye 007', on XBLA. 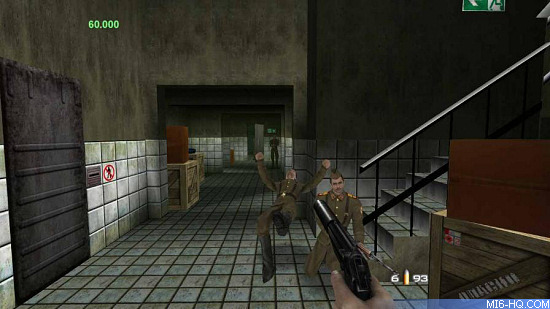 The work completed by the small team at Rare to convert the N64 version of 'GoldenEye' did not go to waste entirely. 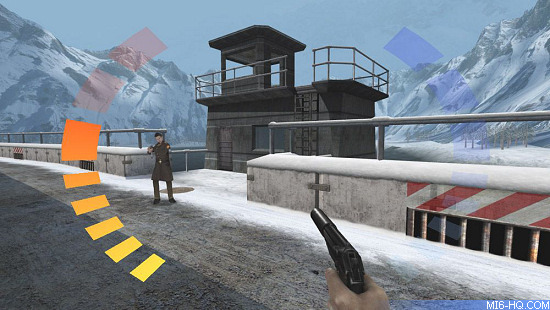 Meanwhile, Activision had been busy developing their own remake of 'GoldenEye 007' for the Nintendo Wii. It would be released in 2010 as a Nintendo 'exclusive', and then appear a year later as 'GoldenEye Reloaded' on PlayStation 3 and Xbox 360. Eight-years on from the development of the port, a 30-minute gameplay video was released on YouTube that shows single and multi-player modes as well as the instant switch between the new XBLA high-definition graphics and the original N64 textures.